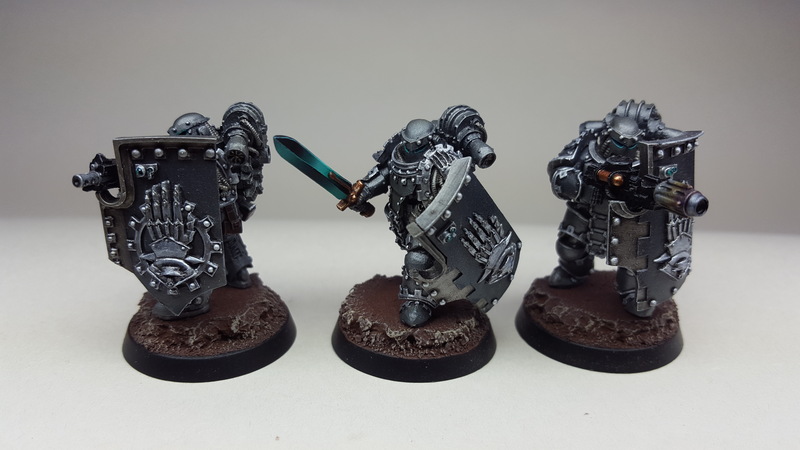 So my Iron Hands army kinda came about on a whim, buying a bag of Iron hand Immortals at Warhammer Fest 2016, and it’s spiralled onwards since then. 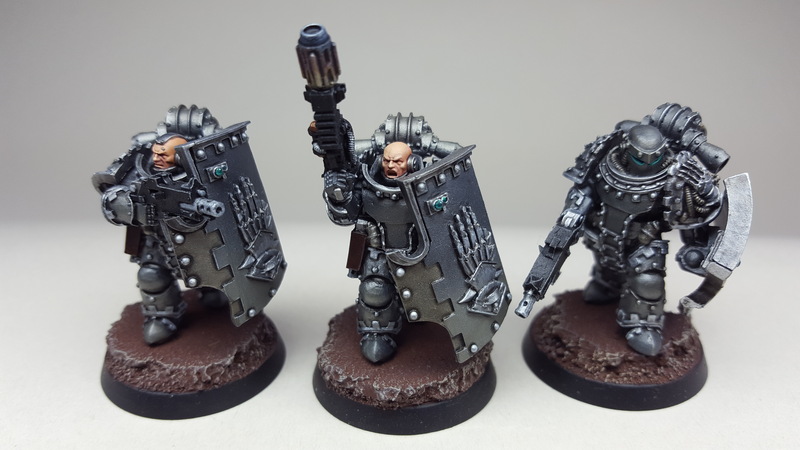 I love the look of the Heresy Iron hands, especially the Immortals. Forsaken by their Primarch, outcasts in their own Legion and doomed to take on the harshed missions, what’s not to like about them? I’ve painted two units of fifteen immortals as the backbone of my force. Their battle taxi is the mighty Mastodon, which I’ll showcase next. Previous Previous post: Time to get back into blogging. Next Next post: The Mastodon Heavy Assault Transport, part 1.